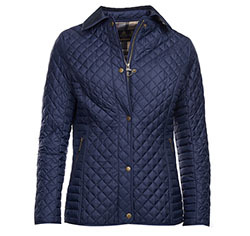 A shorter -length ladies quilted jacket from Barbour. 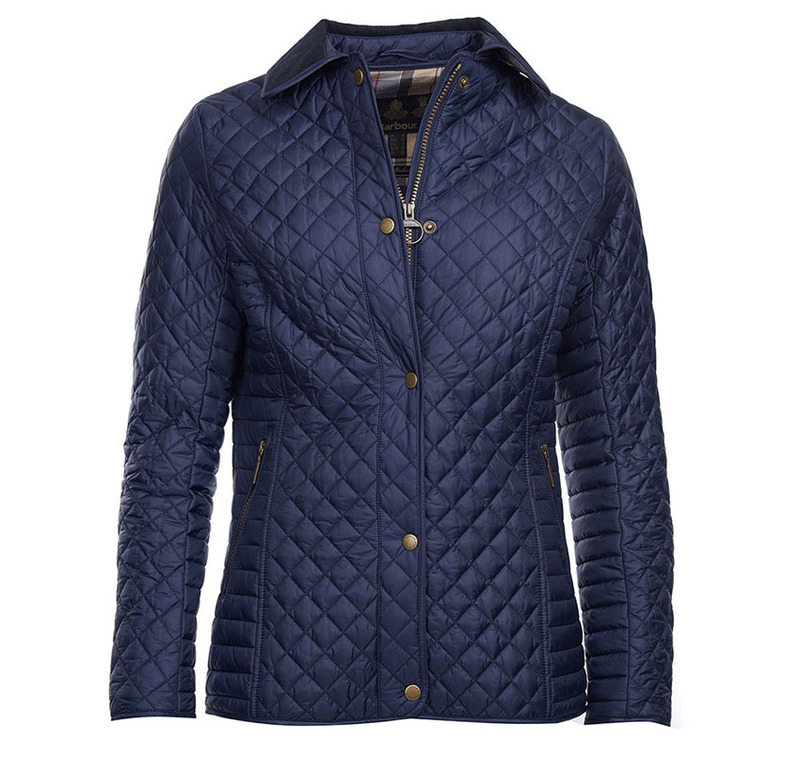 With a mix of diamond quilting front, back and sleeves and baffle quilting at the sides, giving a flattering look, shape & fit coupled with a traditional cord collar and lined in Barbour's Signature Dress Tartan cotton lining. 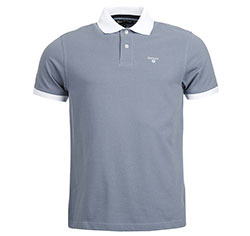 100% Polyamide outer & sleeve lining. 100% Cotton tartan lining & trim. Diamond Quilt with baffle quilt sides. Zip close inner security pocket.